Below you can view all the homes for sale in the Loch Highlands subdivision located in Roswell Georgia. 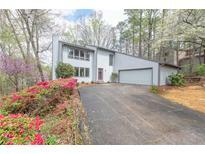 Listings in Loch Highlands are updated daily from data we receive from the Atlanta multiple listing service. To learn more about any of these homes or to receive custom notifications when a new property is listed for sale in Loch Highlands, give us a call at 404-998-4102. Come In And Take A Look. MLS#6532346. Jar House Llc. The Spacious Backyard And Deck Are Perfect For Entertaining Visitors! MLS#6532609. Jar House Llc. Back Patio Access To Relax & Unwind! MLS#6531689. Knock Homes, Llc..
Too Many Great Features To List. Must See To Appreciate. MLS#6531473. Bhgre Metro Brokers. Move In Ready But If You Would Like A Brand New Kitchen Quoted At 20K & New Master Bath Quoted At 18K, Just Add To List Price To Be Completed Prior To Closing With Ample Earnest Money. MLS#6527851. Solid Source Realty Ga, Llc.. Swim Tennis Ready For You To Move Into Your Dream Home Today! MLS#6523175. Berkshire Hathaway Homeservices Georgia Properties. Mature Landscaping And Nice Beautiful And Level Lot. MLS#6520698. Realty One Group Edge. Oversized master Retreat, Renovated Bath W/Large Soak Tub, Heated Floors, Marble Counters/Tiled Shower, Newer Driveway, Newer Trex Deck W/Gorg Sunrm, Roof/Gutters <1 Yr Old W/Transferable Warr, Renovated Kitchen W/Quartz Counters, Upgraded Wolf Cooktop/Stainless Steel Appliances, Ge Fridge <1 Yr Old, Refaced Cabinets/Updated Hdware, Freshly Painted Int, All Wallpaper Removed, Granite In Baths, Updated Lt Fixtures, Hardwood Floors, Updated Built-Ins In Fr W/New Hardware, Off/Flex Space In Terr Level In Addition To 5 Bedrooms. Glass Replaced In 16 Windows. MLS#6519363. Harry Norman Realtors. Roof Is Brand New; Fresh Paint Throughout. MLS#6513238. Solid Source Realty Ga, Llc..
Upper Level Master Suite Offers Floor To Ceiling Windows, And A Large Spa-Like Bathroom Complete With A Sauna To Relax In After A Long Day!Terrace Level Master Offers A Fireplace And Another Spa-Like Bathroom! MLS#6501915. Keller Williams Realty Atl North. Lower Level Has It'S Own Sunroom Looking Into Back Yard, Along With 3 More Bedrooms And A Full Bath! MLS#6123666. Knock Homes, Llc..